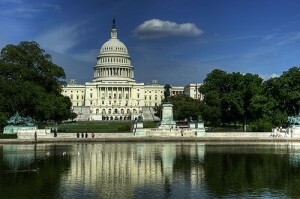 Is Congress softening on spending cuts? by Lawrence A. Hunter, Ph.D. The Sequester Is The Real Deal, and That’s Why The Politicians Hate It. The sequester is a REAL spending cut that ALL Americans can live with and politicians should support it enthusiastically. On balance, the sequester would reduce non-exempt federal programs by about nine percent, hardly a draconian cut. Many private businesses and households would be ecstatic if they had to cut ONLY nine percent from their budgets in this rolling economic disaster the politicians created and perpetuate by refusing to do what’s right to allow the economy to heal. Unfortunately, as usual, it is the tone-deaf, inbred Republican leadership that stands in the way of the GOP’s uniting behind the sequester. You see, the sequester, which exempts Social Security and Medicare from sequester spending cuts, protects old people from indiscriminate cuts to Social Security and Medicare, while the Republican Leadership is hell-bent on CUTTING RETIREMENT BENEFITS old people ALREADY PAID FOR by supporting these programs with enormous tax payments throughout their entire working careers. The politicians raided and squandered huge Social Security surpluses and now they want to cut Social Security in the name of “reform.” The sequester derails these sordid plans so it is imperative that the politicians not be allowed to derail the sequester. The sequester also exempts from any cuts programs and budget line items required to support the troops on the ground in Afghanistan. Our soldiers will receive every last penny they need in the field. What IS subject to the across-the-board 9-percent spending cuts under the sequester are wasteful and unnecessary—and, yes, counterproductive and dangerous—programs that the military-industrial complex gets fat on, as well as other lucrative corporate pork programs near and dear to the hearts of the Republican Party Establishments’ big campaign contributors. Strategically, the Republican Party would have the White House and congressional Democrats over a barrel if all Republicans coalesced behind the sequester. The strategic advantage has flipped from what it was during the Fiscal Cliff standoff, when all the White House had to do was refuse to agree to Republicans’ proposals and the tax increases would go into effect automatically. Now, it is automatic sequestration spending cuts that will go into effect automatically if Congress does nothing, and the Republican Party, which is in solid control of the House of Representatives, can guarantee that Congress does nothing to derail the automatic sequester cuts—It just has to DO NOTHING, PASS NO LEGISLATION AFFECTING THE AUTOMATIC TRIGGERING OF THE SEQUESTER. The congressional leadership from both parties have spent enormous political capital lying to the American public that a nine-percent across-the-board sequester cut to discretionary spending would be the end of the world. That’s pure bunk and hokum. They don’t want the sequester to take effect because that would mean finally having to actually cut the government goodies they deliver to their big campaign contributors and the special interest groups they are in bed with. When the Congress adopted the sequester back in August, they thought they were putting the American public behind the eight ball that would force them to agree to tax hikes. Now that they raised taxes they want to do a bait-and-switch by averting real sequester spending cuts when the time comes. Now, they are trying to scare the American public to death with their Chicken-Little lies about how the sequester will put America’s defenses at risk and endanger the troops in the field. Lies, lies, lies. But, now those lies are being exposed, and even backbenchers in Congress are realizing the con game their leaders are running on them and the America public. Send Congress this very simple message: Let The Sequester Take Effect.